I can download transactions from BNZ (Bank of New Zealand) my credit card displays as NZD but my other accounts display as USD even though the amount is the NZD amount, but when I list All Accounts the value is converted to NZD and reports as more than it should. I have been using Wave for over a year and this month my transactions are not adding up. All I can think is that Wave thinks it's a different currency. 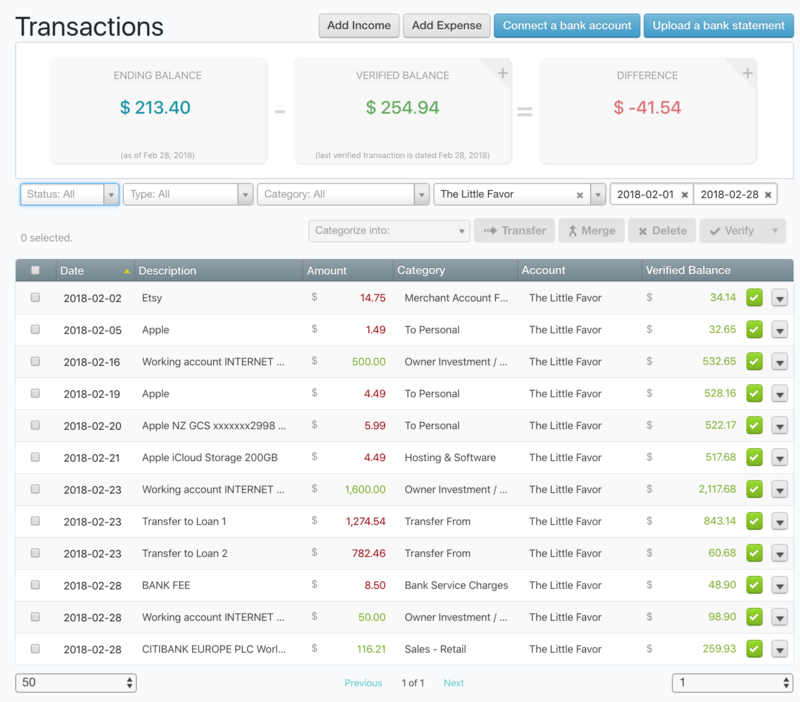 The transactions are in NZD, but I checked my 'Bank Connections' and can see my business and tax accounts are now showing as USD. All other accounts are correctly showing as NZD. I set up my business in NZD and have never had this issue before, so is this a bug? This discussion was created from comments split from: Is there a bug with foreign currency?. There's definitely something not adding up with your account. We're going to need a bit more information to proceed, but I'm sure we can figure it out. The first thing you'll have to do is disable your bank connection. If it's importing transactions in the wrong currency, that's something I'll have to investigate in depth. While I do, it's best if the connection is disabled so that no new USD transaction is imported. Once that's done, could you send me a screenshot of an expanded transaction from your Transactions page? I'd like to see the details of one of them. Can you also tell me when your transactions started importing in USD? It seems like this was an issue with our third party bank data provider, which started importing transactions in the wrong currency (from February 28th onwards). I'm going to notify them of this issue, but for now, I'd recommend uploading your bank statements manually, since I can't guarantee when this will be fixed. Here's how to do it. Or, if you'd rather, you can reactivate your connection and just manually change the currency when a transaction uploads in USD. You can also fix the transactions already uploaded in USD by changing the currency manually and everything should balance out. Thanks Alexia. I didn't realise you could change the currency in each transaction so easily - seems so simple now that you have pointed it out. Since I don't currently have a lot of transactions, I'll manually edit them until the bank rectifies the currency issue. Thanks again for sorting this out for me so promptly. I'll check in again sometime next week and let you know if I have news on this end. There's an issue with the import of bank transactions between our third-party bank data provider and specifically the Bank of New Zealand. We've let our data provider know and they are on it, but I don't have a timeline as to when this will be fixed. What you will have to do for now is delete the imported transactions, close the bank connection, and upload your bank statements manually. Here's a guide on how to do just that. On my end, I'll get in contact with our data provider to let them know it's also affecting you. Once I have more information, I'll post about it here. Let me know if you have any questions. I understand how frustrating this can be, but know that we're doing all we can to get this resolved as soon as possible. I reached out to get an update from our data provider, who told us the issue should be solved. Go to your Bank Connections page and click Update Now. If that doesn't resolve the issue, let me know and I'll relay it their way. I reached out to our data provider, who told us the issue was resolved. Are you still receiving your transactions in USD? If so, let me know and I'll relay that information to them. Thank you for letting me know, @Duncan. Could you send me screenshots of transactions that should be in NZD but is in USD? Or of your bank balance as it's shown in USD on Wave? It'll give me more information to forward to our data provider. You can send them to me as a direct message. Also in NZ here. I also saw the USD issue a while back. All accounts set to NZD, but suddenly figures were imported in USD. Are there any news? Not so urgent as I have lost banking connection, can't reconnect and also can't upload any .csv files. So that needs to be fixed first. This issue was resolved back in April, so you shouldn't be seeing any issues where transactions are uploading with the wrong currency. Transactions that did should have been updated to be correct as well. Let me know if that isn't the case. As for the issue with bank connections and uploading bank statements for New Zealand users, I followed up with you on the other discussion.